Rep. Rashida Tlaib (D-Michigan) says a controversy surrounding her fellow Muslim congresswoman is distracting from "real issues." 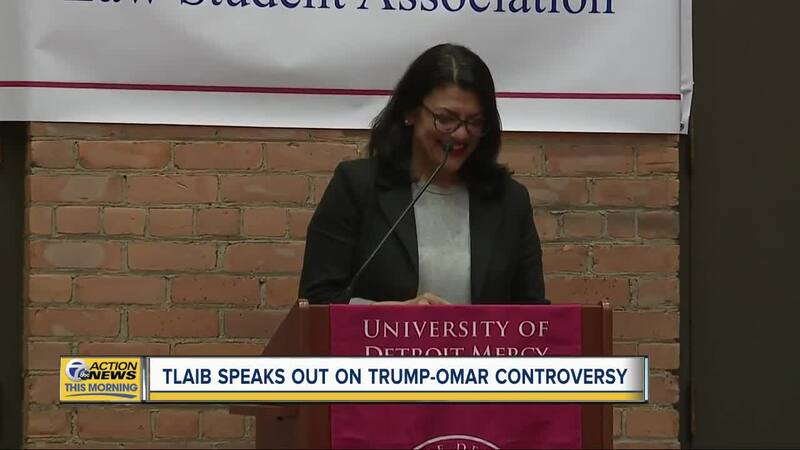 Tlaib was asked about the feud between Rep. Ilhan Omar (D-Minnesota) and President Donald Trump Monday night during an event at the University of Detroit Mercy Law School. "We have people that are continuing to target us, to use fear-mongering, hate rhetoric to divert from real issues around healthcare, around immigration reform that need to be addressed," Tlaib said. The controversy surrounding Omar stems from a a speech she delivered at a recent Council on American-Islamic Relations (CAIR) in March. While describing why CAIR had been founded, Omar cited the September 11 attacks. "Far too long we have lived with the discomfort of being a second-class citizen, and frankly, I'm tired of it, and every single Muslim in this country should be tired of it," Omar said, according to CBS News. "CAIR was founded after 9/11 because they recognized that some people did something and that all of us were starting to lose access to our civil liberties." CAIR was in fact founded in 1994. Omar's opponents have also called the comments insensitvie to the survivors of the attack. Over the weekend, Trump tweeted a video of Omar's comments along with images from the attack, along wih the caption "WE WILL NEVER FORGET!" Trump also called Omar "ungrateful" during a trip to her home state of Minnesota on Monday. Omar says she has seen an increase in death threats against her since Trump tweeted the video of the weekend.